I thought my days of expensively buying CD singles were over. Apparently not, although this one wasn't too dear: it's the post & packaging that really kick you in the teeeth. 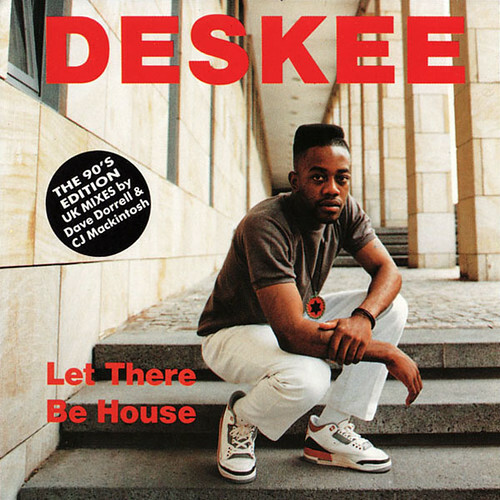 Deskee was a house/rap act from the eighties that included rapper Crumpley (what a name!) and Klaus Jankuhn (aka Westbam). Very obviously a commercial venture - that was to fizzle out very quickly as it happens - they did score a couple of large hits including Dance, Dance (with 'bootleg' mixes by Tony Humphries that are pretty scarce) and their most memorable tune, Let There Be House. or click here to go to the Let There Be House folder and choose the version you want.